From The New York Sun. August 17, 2005. Richard Nixon was right about one thing, at least. From the end of America’s involvement in the Vietnam War in early 1973 until the terror attacks of September, 2001, we had the "Generation of Peace" he promised us — though it can hardly have been quite what he had in mind. One unintended side effect is that that generation now finds it difficult to understand the ways of the warrior, which used to be for us as intensely interesting as they still are to our jihadist enemies. 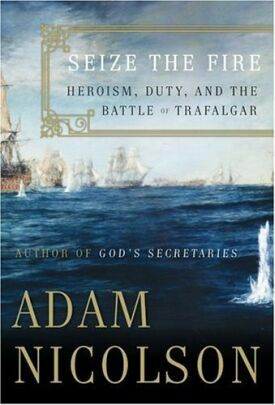 In Seize the Fire: Heroism, Duty, and the Battle of Trafalgar, Adam Nicolson has written not only a history of one of the most decisive naval battles in history but also an account that could have been designed to introduce the latter-day sons of peace to the moral meaning of warfare in the eyes of their ancestors — or at least those of them who fought with the great British admiral, Horatio, Lord Nelson, at the battle of Trafalgar in October of 1805. The advantage of anchoring what amounts to a moral and philosophical essay in the experiences of a particular group of sailors and marines at a particular moment in history is that it gives to our understanding of some now-difficult concepts a much greater precision. Ideas of honor, duty and heroism are not fixed and immutable but, at least in the Western experience of which both Britain and America are a part, have tended to evolve. October 1805 was a crucial moment in this evolution. The victory of Nelson over a combined French and Spanish fleet at Cape Trafalgar on the southern Spanish coast not only put an end to Napoleon’s hopes of breaking Britain’s continental blockade and extending his conquests to Britain, it also established an example of the martial character that was to remain potent not only in Britain but throughout the Western world for more than a century. Nicolson is never less than interesting on the subject of just what this spirit consisted of, though at times he strains too hard to draw his historical analogies, as when he claims that "Wordsworth, at precisely the same historical and cultural moment, had become to poetry what Nelson was to battle." Sorry, I don’t buy it. It’s true that both were innovators of genius and that Wordsworth wrote "I cannot at this moment read a tale/Of two brave Vessels matched in deadly fight" without wishing to be there. Or saying he wished to be there. But I predict that most of Nicolson’s readers, of whom I hope there will be many, will find the connection between Wordsworth’s writing poetry in "the real language of men" and Nelson’s leadership style just a bit obscure. Yet Nicolson is right to believe that there are always interesting connections between military sub-cultures and their parent cultures and two of his cultural analogies are more worth pursuing. First, he tells us that "the battle is founded on a clear commercial analogy. Trafalgar worked according to the basic principle enunciated by Adam Smith that the individual's uncompromising pursuit of the end that will satisfy him will also serve the general good." The sailors of the British Navy were all in a way entrepreneurs. They fought not only for "prize money," which was shared out among a successful crew when it captured an enemy ship, but also for honor which in Britain, much more even than in Napoleonic Europe was the key to upward social mobility. Most of the British officers were like Nelson, the son of a country clergyman, in not being of the highest ranks of society. But they knew that such ranks were open to them, and very quickly too, if they were successful at sea. The honor that accrued to those who proved their aggression and initiative in battle was a ticket to the gentlemanly ideal, which was to acquire independent means and join the country squirearchy. In Nicolson’s view, Trafalgar embodied an essential cultural difference between Britain and the continent which still exists today, as it does between America and continental Europeans. In fact, he compares continental attitudes to Britain then to European attitudes to America now. For "the essence of Trafalgar," he says, was a crushing defeat for the more elegant but authoritarian continental model of warfare by the Anglo-American style, which emphasized the "liberation of individual energies to ensure victory." In the Royal Navy, officers were commended not for "obedience" as in the continental navies but for "Zeal." And this Zeal seems to have implied a literally stunning degree of violence and aggression against the enemy. This brings up the second of Nicholson’s most interesting cultural analogies, that with Edmund Burke’s Romantic idea of "the Sublime" — the essence of which was surprise and danger. The enemy fleet at Trafalgar still adhered to the "line of battle" tactics of a century earlier. Ships lined up bow to stern in a kind of procession in order to protect their most vulnerable parts, the bow and stern, and turn a broadside, where all their firepower was massed, towards the enemy. Nelson had already learned from the techniques of the 18th century’s greatest British admirals, Hawke, Rodney and Howe, to attack an enemy employing line-of-battle tactics by facing his broadsides head on, slicing through the line and cutting off the leading ships from the followers. 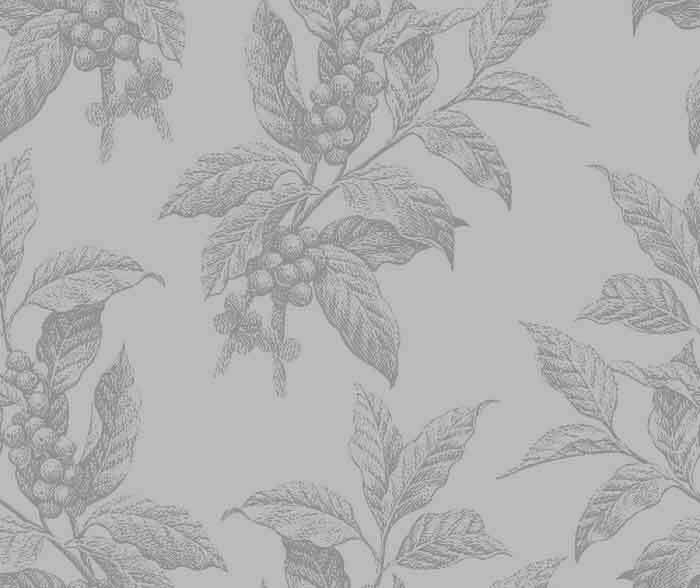 It had been Howe in particular, Nicolson tells us, who "dared to recreate the mêlée which 150 years previously the invention of the line of battle had been designed to avoid." Instead of the centrally controlled and organized fleet movements favored by the French and Spanish, the British relied on the initiative of individual ships’ captains to catch and seize tactical opportunities as they arose. "Lines broken through and captains at liberty to act as circumstances require" meant that "the world of the orderly dance was over." Nelson added to Howe’s attacking style his own berserker temperament. "I shall go at them at once if I can," he told a friend not long before the battle, "about one third of their line from the leading ship. . .I think it will surprise and confound the Enemy. They won’t know what I am about. It will bring forward a pell-mell Battle, and that is what I want. "That is just what he did. And he won, though he himself was killed by a musket ball just as the battle was turning decisively in his favor. The enemy were not only surprised and confounded but intimidated and unnerved. If they had not been so, Nelson’s wild, laissez-faire style of warfare which relied on the initiative and the aggression of each individual captain might well have fallen a victim to his more conventionally well-ordered enemy. "It is, like so much of what was happening in European consciousness at the time, a return to the primitive," writes Nicolson, "to the essential brutal realities of battle in which deep and violent energies are released by dispensing with the carapace of courtliness which the 18th century had done so much to cultivate." Well, you can see why he is so keen to see the larger cultural significance of such developments in the Revolutionary era where they originated, even if he does sometimes overreach.